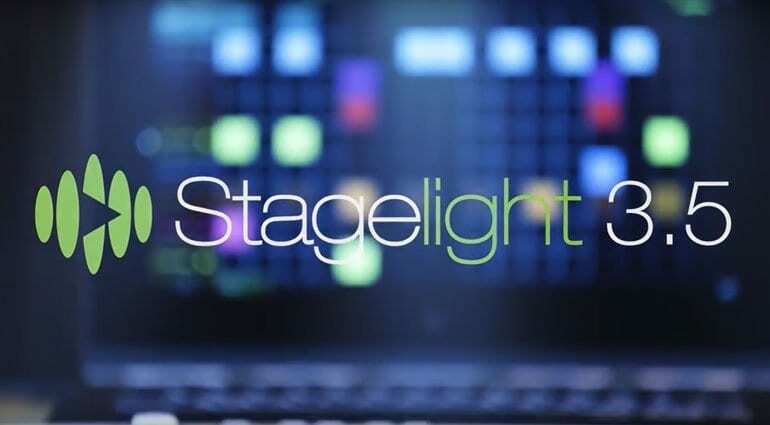 Stagelight is a colourful and capable DAW and loop performance tool for Windows, MacOS and Android. It’s good value and fabulously touchy. Open Labs have just released version 3.5 which brings in some nice developments. 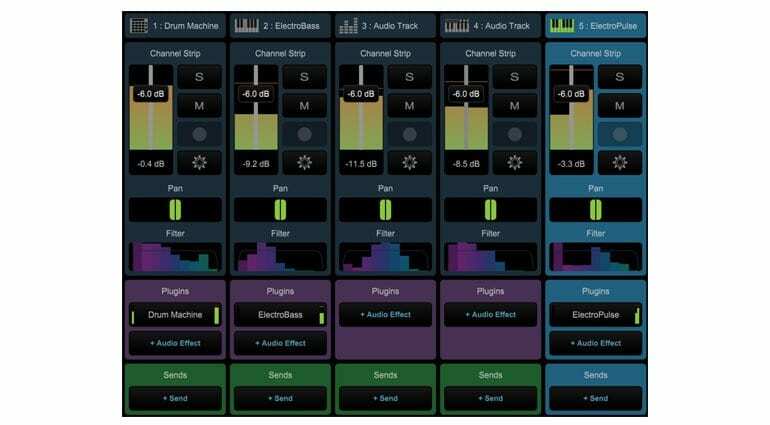 One of the leading StageLight features is the step sequencer and drum pattern maker. Version 3.5 brings up to 8 lanes of event automation. These include pitch, reverse, push/pull, high and low cut, sub-divide, velocity and pan jitter. Drum patterns can now be saved individually to the browser for use in other songs. You can build drum kids from your own samples directly in pattern maker. You can also create track templates to speed up your workflow by recalling your favourite track settings. I like the improvements they’ve made to the drum machine. 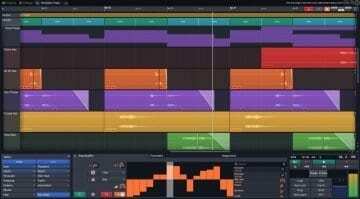 You could make some beats on the bus on your Android phone and then simply drop them into a larger project on your desktop at home. The browser was a bit incoherent at times but now they’ve categorised and streamlined it to make it much more intuitive. 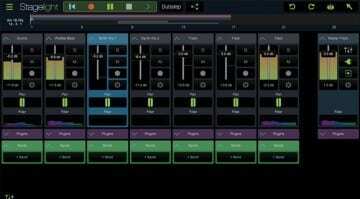 The mixer which was introduced in version 3 has been greatly enhanced with a better layout and clearer signal flow. 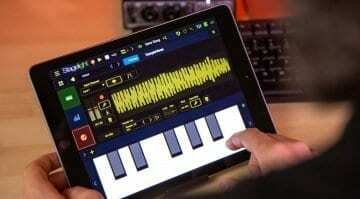 StageLight is one of my favourite touch-based DAWs for Windows and the Microsoft Surface. 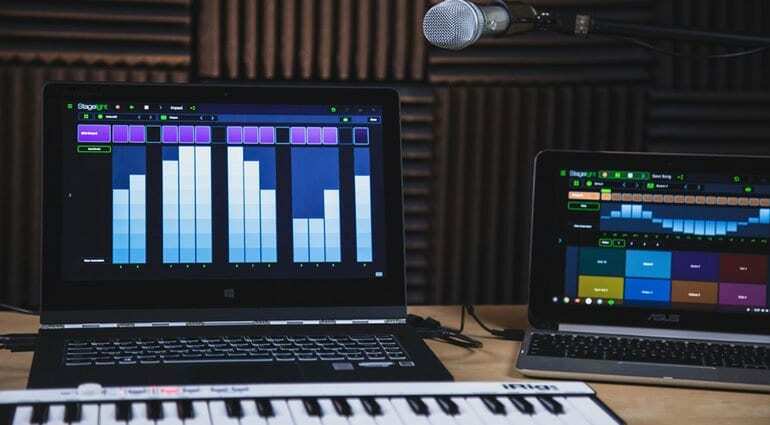 We so often think that touch-friendly music making is all about the iPad, but StageLight brings that sort of intuitive interactivity directly to a Windows hybrid laptop, tablet or your desktop. It’s just as happy running with a mouse and keyboard. 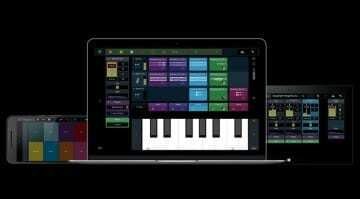 And unlike an iOS app it can run all your VST Instruments and plug-ins, it will work with your audio interface and will have access to all your samples. One of their things is the massive library of loops, clips and samples available via the inbuilt store. It’s actually my least favourite part of the software but there’s a load of stuff available for a few quid if you need some sounds or loops to play with. StageLight starts with a free version which is actually pretty great by itself, but I can heartily recommend coming up with the $49 for the “Ultimate” version which includes all the instruments and effects, drum kits, VST support and full mixer.